There's no magic pill for acne. So they they say, at least. Sometimes acne is caused by food sensitivities like dairy. In other cases, acne can be caused by nutritional deficiencies. I recently found out that people with higher requirements of vitamin B5 can experience painful acne. Supplementing with vitamin B5, also known as pantothenic acid, can cause significant improvement. Pantothenic acid breaks up sebum that can harden and clog pores. On one hand this can make skin drier. But on the other, it can make skin a lot smoother. This was my experience, and a mere 500mg a day is enough to make a difference for me. But depending on the severity of your breakouts, you can customize your dosage. In fact, you can go up to 5-10grams and continue to see improvements according to a study. Vitamin B5 works by reducing the production of oil by the sebaceous glands. This is unlike the very dangerous Accutane, which shrinks the sebaceous glands. 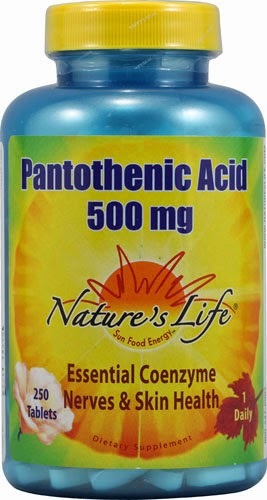 Pantothenic acid increases Coenzyme A, which amps up the metabolic breakdown of oils. The more Coenzyme A, the more fatty acids can be metabolized, which means they are oxidized or burned up as energy production. Pantothenic acid is in some foods, but the best way to get 1000mg or more is through supplements. Grab it from the vitamin section of your local Whole Foods or online at iHerb. Try it out, starting at a low dose of 500mg and increasing until you see the difference you want. I sought out this information and was not compensated monetarily or otherwise for this post. Thoughts on the skeptical view laid out in http://www.acneeinstein.com/vitamin-b5-acne-skeptical-view/? At that point when the attachment begins to separate,Kim Cattrall Skin Care a pimple develops. Acne is the most widely recognized skin ailment.